Undergraduate and graduate respiratory care students spend 36 hours per week in clinical rotations during the last year of their programs—more than twice the number of hours per week under the previous curriculum. The three 12-hour shifts per week allow students to work on their time management skills and to gain a strong understanding of the teamwork and flow of an entire shift, said De De Gardner, chair of the Department of Health Sciences and the Steven Lloyd Barshop Endowed Chair in Respiratory Care. Students spend the last three semesters in clinical rotations. “They are there from the time they start the shift until the time they end the shift,” Gardner said, adding that students will be performing their rotations in hospitals in San Antonio as well as across Texas and even out-of-state. The six-semester graduate program began in 2015, and its first class of 26 students will graduate in August. The five-semester undergraduate program previously required clinical rotations of two 8-hour shifts per week, for a total of 16 hours per week, Gardner said. Going forward, the respiratory care program aims to enroll about 40 graduate and undergraduate students per year total. “Our goal is to really focus on graduate education, however we do have a need for respiratory undergraduates,” Gardner said. October was a very busy month for respiratory care, which also hosted a visit from a health care team from China during the American Association for Respiratory Care International Congress, held in San Antonio Oct. 15-18. 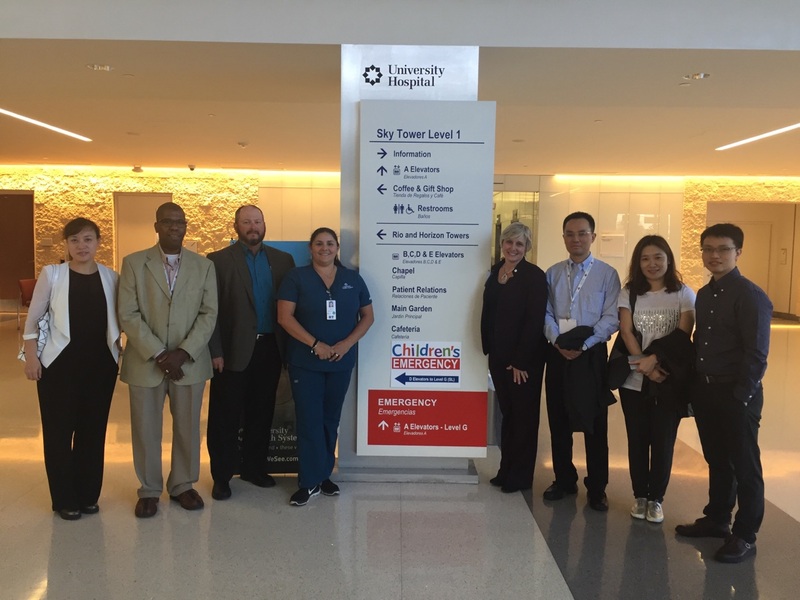 The team, including a physician, respiratory therapist and a nurse, visited University Hospital and met with the director of respiratory care, a graduate of the UT Health Science Center at San Antonio program. Gardner said the team was interested in University Hospital’s use of extracorporeal membrane oxygenation in pediatrics.